Here’s a perfect snack for watching the Rugby while making the most out of your hunt. Remove any sinew or silver skin from you meat and cut into strips along the grain. You can cut into whatever size you like however the thicker you cut it the longer it will take to dry, I cut mine into 15cm long and 1/2cm thick strips. Coursly grind your fennel and coriander seeds using a spice grinder or pestle and mortar. You want to still be able to see the spices so don't grind to a fine powder. Combine everything together and mix well. 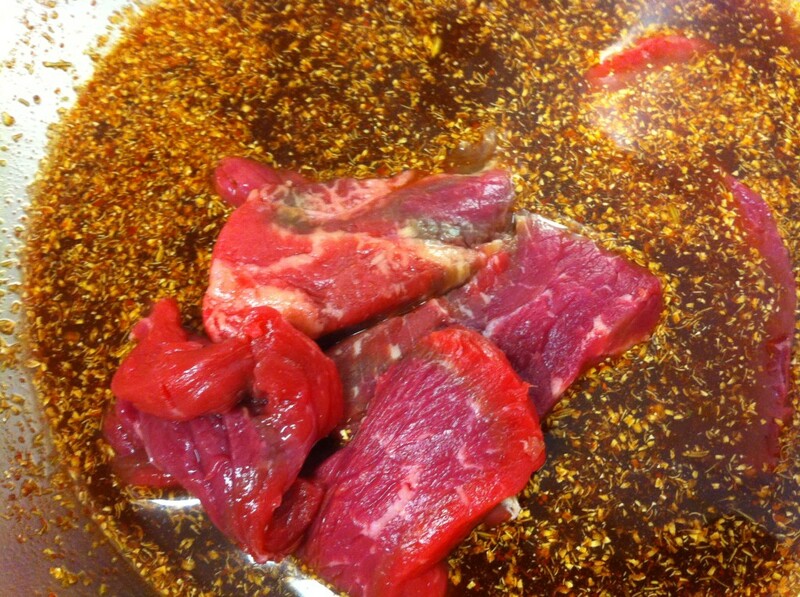 Marinate your strips of meat in the marinade for 2 hours and then dry in your dehydrator. You can dry out your Biltong whichever way works best for you. The traditional way is to hang it up somewhere dry and ventilated up to a couple of weeks although the two methods I have used have been with a commercial oven and at home a store bought dehydrator. Try the recipe and you can use whatever red meat you like and adjust the level of spices according to your taste, I like mine with a little bit of a kick. this sounds wonderful! How would I dry it in a conventional oven? What I do is turn my oven up to 200 then turn it off and put the biltong on a cake rack and leave it over night. You could also try having your oven turned down as low as it could go, most dehydrators run at 58-68 degrees C. Cheers!